Microsoft overnight confirmed the Windows 10 upgrade for Xbox One will go live in November. 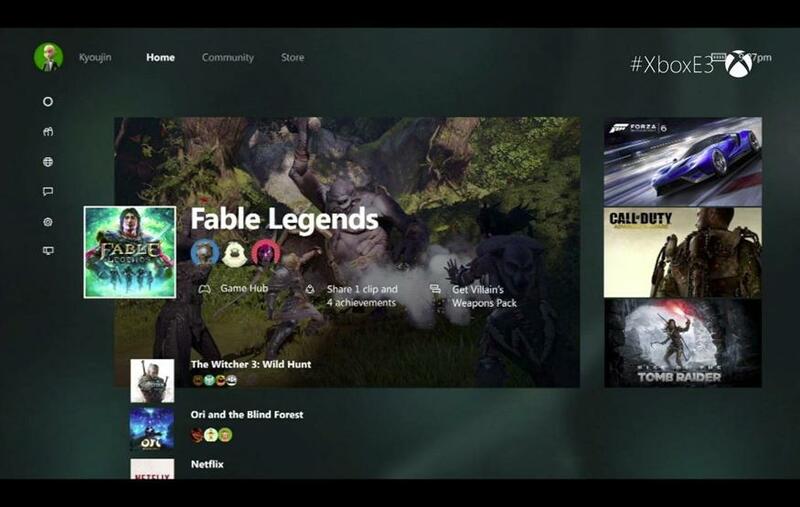 The update provides the Xbox One user interface with a complete visual overhaul, a new friends system, and integration with Cortana. Xbox One Preview Programme members will receive the update in September. Microsoft will also launch Xbox One Backwards Compatibility in November, allowing gamers to play select Xbox 360 titles on Xbox One. Over 100 Xbox 360 titles will be playable when Microsoft takes Backwards Compatibility public, and the company claims "hundreds more" will follow. In addition, all future Xbox 360 titles offered through Microsoft's "Games with Gold" programme will be playable on Xbox One, giving Xbox Live subscribers extra bang for buck. In terms of games, Microsoft used the event to showcase footage from previously announced titles such as Scalebound, Quantum Break, and Crackdown 3, but surprised with the announcement of Halo Wars 2. Halo Wars 2 will be the second real time strategy game set in the Halo universe; it is being developed by Creative Assembly, best known for Total War and Alien: Isolation. Halo Wars 2 will be released exclusively for Xbox One and Windows 10 in the spring of 2016.